Resale flats in Noida Extension/Greater Noida West is one of the most asking word for flats buyers now a days. All small budgeted flat buyers are looking for their accommodation in Noida Extension/Greater Noida West. Although many reputed builders are developing their societies. Gaur sons, Amrapali Group, Supertech, Ajnara Group and Mahagun Developers are the developers who have developed and developing many societies.These are the builders / developers who have huge land bank allotted on their name. Moreover many of the societies are ready to move, So flats buyers are waiting for resale flats in Noida Extension/Greater Noida West now a days. Metro is also suppose to operate in Noida Extension/Greater Noida West. Roads are very wide and sewage are properly operational. Even Green area of Noida Extension/Greater Noida West is designed superbly. Noida Extension/Greater Noida West is properly connected from three different cities. One side is connected from Gaziabad, second is connected from Greater Noida and Yamuna expressway and thirdly it is connected from Noida. 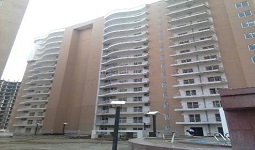 Most of the flats buyers are intended to purchase flats in Noida Extension/Greater Noida West because of its well connected connectivity, wide roads, proper safety extra.